I'm sure most parents would agree that if their child's survival was dependent on live animal testing, most would accept the ethical risk. I'm sure we have no idea how many primates have been injected with HIV strains to research ways to combat the illness in humans. But these are life and death needs we hope won't always be needed to combat life threatening disease. Diesel emission testing however, seems to not, at least IMHO, fall in the same category of need. Diesel emission testing however, seems to not, at least IMHO, fall in the same category of need. How is diesel emissions testing that different from smoke testing done in the 1960's? It didn't seem to be a life and death need at that time, but in the long run it was. This is my last post in this vastly off topic thread. Not sure why you'd even put the diesel testing, done very recently in the same category as smoke tests of the 60s? Please let me know how they even relate given the half century it's been since those tests took place. I'm sure we can find many many examples of tests performed decades ago we can't even fathom today. But the diesel tests were done in this decade, as in just within the last 2 years. And I totally disagree the smoke tests were even needed at that time. All one had to do was visit hospitals full of people dying from smoking related illnesses. It didn't take a doctor to determine smoking IS VERY BAD for you. Last edited by rbrylaw; 10-16-2018 at 02:08 PM. Statutes regarding aid vary by state. Florida has 2 statutes regarding rendering aid and reporting. Every state has laws regarding return of found money if the owner can be identified. If the owner can't be identified most states require one to notify law enforcement. 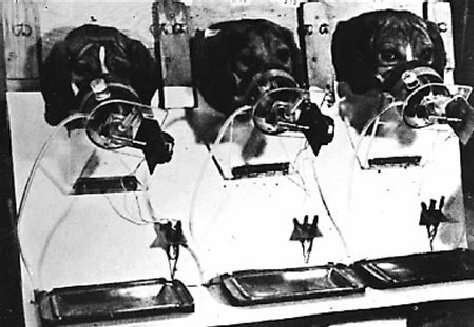 Regarding animal testing, without it the tobacco companies would still be free wheeling over our youth and many diseases such as polio and small pox would still be endemic. Most of our drugs would not exist because the law requires non-human animal testing. Simply put animal testing is required for the well being of humans. No statutes cited. Not one. We all know laws vary from jurisdiction to jurisdiction. Still unanswered is the question of legal vs ethical. If you cannot answer it, just moving on is best, no? Since you are too lazy to do a simple search, Florida statutes 316.062 and 705.102 cover it. There are other laws in Florida that cover some specific situations regarding rendering aid and reporting..
Last edited by CaptainE; 10-16-2018 at 06:12 PM. It seems that you think that something doesn't exist if you can't see it. How ostrich of you. I merely asked for an example. If all you can do is continue your insults, I’m done. Also you haven’t answered the first question of illegality being the only determinant or fleuger’s post. What is considered ethical behavior varies greatly from country to country, locality to locality, person to person, etc. It is subjective, not objective. Legality is the objective definition of what is allowable behavior and what is not. Animal testing is just one example of the ethical dilemma. Should an animal die so that a human can live? What if the choice is between one human and another? Here is an example direct from Florida statutes. =leftIf a person finds lost or abandoned property they are required to report the finding to law enforcement. Under Florida Statute 705.102(1), the failure to report the finding of lost or abandoned property to law enforcement, or return the property when asked, is considered theft. Not to mention the fingerprints that are gonna accumulate on the screens. Last thing I need is having to wipe with a cloth every time I touch the screen. What happens when you touch a touchscreen with a cloth? Unforeseen consequences? Can you turn it off first? Like I do with my iPad, iPhone and Laptop, I clean the screen powered off. And one should never use an ammonia based glass cleaner like Windex on electronic screens. from my personal experience I just wipe down the touchscreen such as iPad or my surface book 2 with a microfibre cloth every 2-3 days or else grease starts accumulating on the screen after a few weeks. (I wash my hands quite a lot too but this still ends up happening) which then requires using a screen cleaning solution later. For the A6 to do even anything such as use the infotainment or even control the climate you have to use a touchscreen so it could get pretty annoying having to clean it often. Does anyone really want to own the first year of highly technical German car? There is so much new electronics on the A6. Does it not make sense to wait a year for Audi to get the bugs, (and if the past is any indication of the future) and there will be many, to be worked out. You got it right concerning the C-Class that was new for MY 2015. It was also a new factory on a new continent and a new engine design. I knew that being a first adapter was taking a chance, but I really wanted the interactive cruise control. Indeed, that feature has made a big difference to my very elderly, very nervous wife. She still has her moments, but she can tell herself that the radar never gets tired and never gets distracted. On the original direction of the discussion - MBUX is a immensely expanded "voice control" system in 2-ways - 1st, similar to the S-Class voice control commands have been expanded to control expanded cabin comfort/convenience features - 2nd, the interactive/intelligent voice interface is provided from the MB thru Bluetooth to MBUX app in your Smartphone - which in turn connects up to the Cloud (think SIRI, think Google Home, think Alexa - instead it's Hey Mercedes - or Hi Mercedes as the portal opening cue). The touchscreen interface - which is also augmented by a new/much improved touch pad (thank Gawd) - is to allow control of the major control/cabin systems in the event you are NOT a Smartphone equipped driver - and/or if you are someone who prefers NOT to use MBUX Smartphone enabled voice connectivity - and/or if your native spoken language is not covered by MBUX - or if your challenged to provide understandable vocal Comands. I have no comment on the "10 Monkey's" - other than it was downright idiotic - manufacturer sponsored "scientific research outfits" are much-too-common thru out many industries - and frankly Euro is much more upset on this whole misfire than we are here in the US - poor manufacturer corporate oversight on this outfit for sure - damn shame. just saw the new a6 yesterday....looks really good tho lol. only saw the exterior as it was driving by. I've never really like Audi's design language personally. I like how BMW's look, but Audi, not so much. And I have no doubt Audi cars are very well made and very nice to drive. The only Audi I had was a 2006 A4. To me this was one of the best rear end designs, even today. All subjective of course. That said, they bought it back. I was driving their loaners far more than my car. Pardon me, I am NOT a sh** disturber, in fact, I rarely even comment on controversial topics because I just don't like stirring the pot. The other stuff is moot to me. But that's just me. Just saw the new 3 series, looks really good and seems to have grown bigger in size. Its about time BMW and AUDI starts paying attention to the exterior, BENZ has been killing it for the past few years. That is why I bought the E Class. It looked classier than BMW, Audi and Lexus (which reminded me of a bottom feeding fish). I'm extremely biased having previously led the teams that built all of the current and next-gen Audi MMI technologies. Despite my allegiance, I have an E63S Wagon on order, solely as a **** you to my colleagues at AoA who won't bring over the RS6 Avant. If it were sold here, I wouldn't be buying the E63S. The technologies in the new A6/A7/A8/Q8 are leaps and bounds better than anything Mercedes has an offer currently. VAG still edges out MBUX by a fair bit. The gap will grow once Audi finally ships Audi AI for semi-autonomous driving. I left VAG due to the diesel emissions issue and have protected whistleblower status. Woo. Take it from an insider, VAG isn't the only bad actor. The things I've seen will make many want to dust off their bicycles. MMI sure as [email protected]#$ better be improving, as it has not been good in the past. It has been down right archaic so far. I feel similarly about COMAND. I-drive started out as a complete mess but has become my favorite. I've become so accustomed to Comand. From a pretty awful system years ago, it's actually become a pretty decent one lately. It does what I need a system to do. And I have Zero, Zip, Nadda, NO interest in having to learn a whole new interface. No I don't.